If you're running no matter what, you need socks that can cope with all kinds of weather like the Feetures! Elite Merino+ Cushion Quarter Socks. They're made with Merino+ fibers, that wicks moisture away from your skin when it's hot, and keep you comfortably warm even when wet if it gets cold. The Sock Lock Technology helps to keep the high-density section in place at high-wear areas of your foot, and the quarter height rise of the sock ensures your ankles get the protection they need. "Are these socks “max” cushioning? I am looking for merino wool quarter sock max cushioning. " 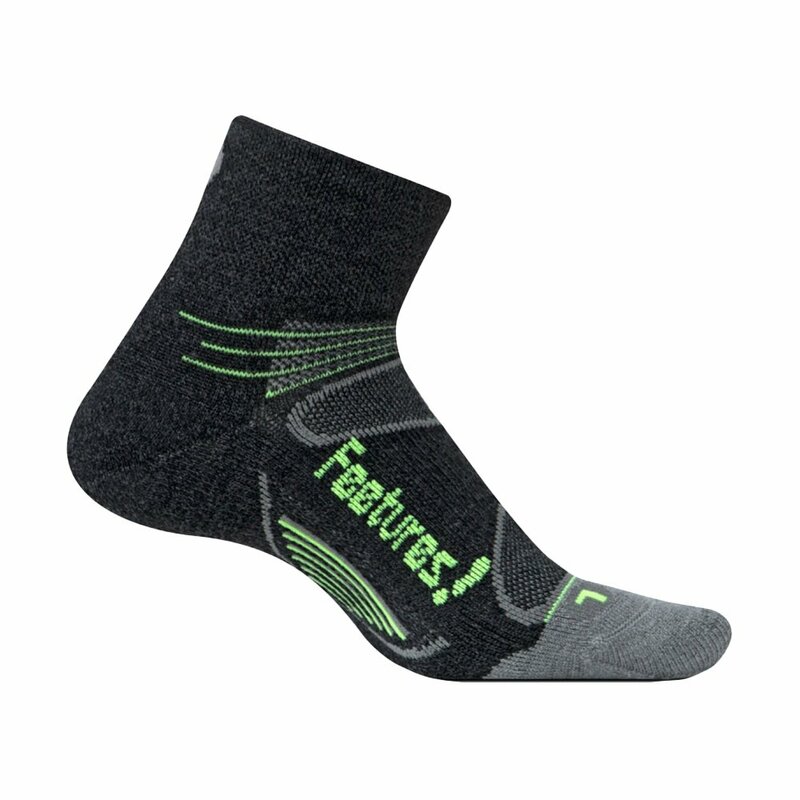 "Feetures does not classify the Elite Merino+ Socks as Max Cushioning. Click here to see all of the Feetures socks that we do carry with Max Cushioning."